For any other sci-fi geeks out there, I am sure you remember the scene in the 2002 cult classic Minority Report where Tom Cruise walks by the advertising screens and the screens identify him and serve up highly personalized ads. For those that have no idea, here it is for your viewing pleasure. Basically what happens is Tom Cruise walks by the indoor advertising screen, the screen uses some kind of retinal scan to identify who he is, and then serves up highly personalized ads in real time. At the time this movie came out, this was a revolutionary idea that seemed far-fetched and quite Orwellian. However, it's 2018 and several emerging technologies have advanced to such a stage that 2018 could be the year we finally start to see “Minority Report” style advertising. 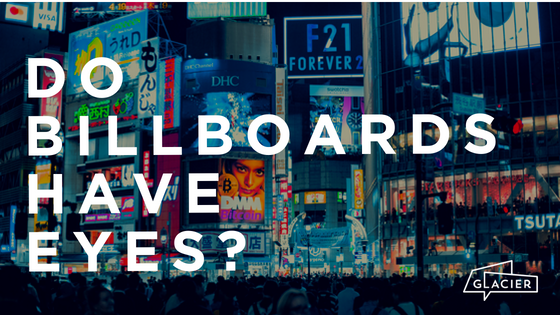 This is incredibly exciting, and also a huge reason why out-of-home advertising continues to be the only traditional advertising sector that is growing since the advent of internet advertising. You can check out this article from PWC here. So how could this style of advertising happen today? There are really two technologies that can fuel this innovation. A lot of out-of-home advertising companies are moving towards or have already taken the full plunge into digital out of home. This enables advertisers the ability to serve ads in real time. This is nothing new, however what is new is also the advancement of device ID targeting and hyperlocal targeting. Basically, we are now able to find out when someone is within a 10m by 10m square by identifying where their smartphone is in space. Or in other words, we know which smartphones are in viewing distance of advertising screens. Further to that, based on their device ID we can identify their purchasing habits, browsing history, and other pertinent information identifying what kind of ads will resonate with that individual. 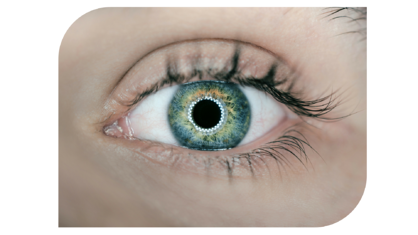 Fusing these two technologies will enable advertisers to bid on impressions of people walking by screens, and be able to bid on impressions of people most likely to like the ad based on their demographics and psychographics courtesy of their device ID. This is really only one method that could work. Two other likely ones involve facial recognition technology being built into the out of home advertising screens, or using augmented reality to create personalized experiences. We already saw the explosion and popularity of augmented reality in the last two years, and with the new iPhoneX having augmented reality built into it, this lays the ground work for what could be an incredibly cool out of home advertising experience. At our company we have already seen the success of similar technologies resonating with audiences. In a campaign we ran for OCAD University, students took a photo of the ad below which then created a completely different photo. We saw hundreds of students engage with this one single ad over the course of a month. Imagine if instead of a simple photo, an OCAD University student jumped out of the ad and began talking to the student in real time about just how cool the experience is at OCAD University, and referred to them by name? The crazy thing is this technology exists today! So is 2018 the year we start to see minority report advertising in action? It is definitely possible, which is great news for advertisers and also the general population. Long gone will be the days of seeing advertising not relevant to you, and instead only seeing messages and content you care about, not to mention really, really cool brand experiences. For more cool insights into the Education and Advertising world do not forget to sign up for our blog!